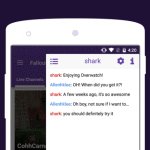 For those who loves to stream videos and look for different platforms on where to stream one, you may have heard of the video streaming platform Twitch. 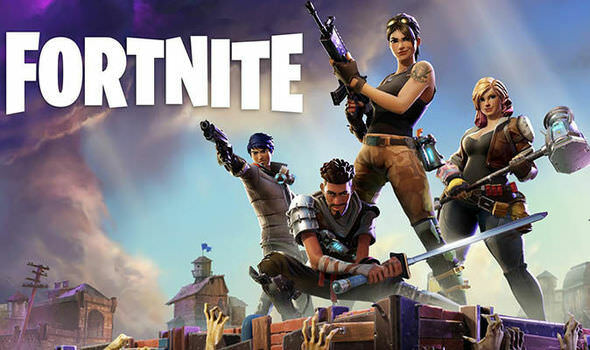 It is one of the most popular online streaming services available, it is mostly focused on video game streaming but in the past few years it has expanded in streaming TV shows, cartoons, music videos and more. 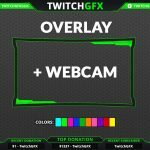 Now, for those who are familiar with twitch, you may also be familiar with overlays, but what are overlays and how does it work? An overlay is a boarder around your camera or webcam and it has a high definition of 1080p, it is a graphic that sits around and above your capture window and webcam. Think about it as if you are streaming a video while your window or webcam is wearing a mask. The things that are positioned underneath is everything that lines up. 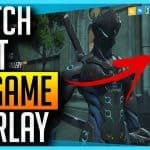 – This website offers free and premium Twitch overlays. You can purchase professionally designed overlays which also includes animated supporter bars, panels, screens and webcam frames. All of their designs are suitable for OBS Studios and X-Split Broadcaster as well as other services such as Streamlabs, Muxy, Stream Elements and more. There’s a lot of free resources as well. 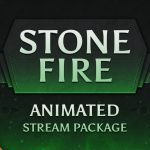 – This website has hundreds of free and premium stream overlays, logos and other things that you would need to customize and personalize your website or your streaming experience. 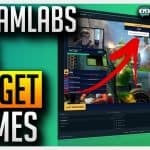 This site is compatible with Twitch, Mixer and Youtube, so if you have channels on those sites, you can add the services offered of this website on your channel. They have worked with thousands of streamers and created stream designs that had helped the streamers on their careers. – This website is one of the most famous and the longest running sources for premium stream overlays and graphics. They have been active since 2004 and they have professional designs and amazing customer service. on one interface. You can just copy your overlay’s URL into OBS or XSplit and you can then start streaming your videos and watch it change into something amazing and beautiful. personalized just for you. Their overlays leave room for your face cams and you can choose from their hundreds of animated overlays.